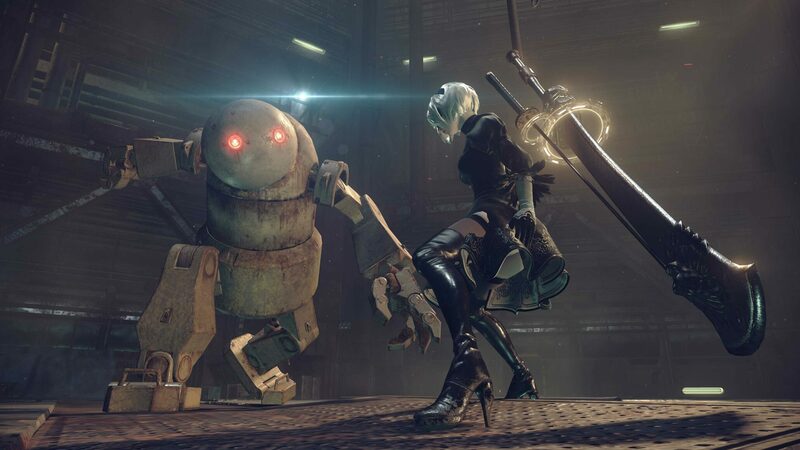 NieR creator Yoko Taro is known as a unique and unconventional game director. He shaped the universe of Drakengard and after that, its spin-off NieR which just received a highly acclaimed sequel titled NieR: Automata. Yoko Taro was recently interviewed by toco toco, a Japanese program about artists and creators. True to his fame, he criticized the repetitive gameplay found in most AAA titles while giving us a glimpse into his mindset as a game creator. Looking at AAA titles, of course I find them beautiful and interesting, but after 20 minutes of gameplay, I wonder whether it is going to be the same for the following 20 hours. I am a bit tired of this. If possible, I would like to make games that are unexpected, games that keep changing form. This is the mindset I had when I created the first NieR game, and it is present in NieR: Automata as well. Luckily, a video game is a media that can take multiple forms, and those forms keep changing with time. I really enjoy this freedom and I want to keep making new forms of games, and share them with players. It is the first type of media where the user can participate and obtain an almost immediate response. As a creator, I don’t want to impose something to the player, nor to tell them that there is only one answer. Answers, themes, discoveries, objects…I would be happy if players could find all of these themselves. Which is why I think I shouldn’t be imposing any solid rules. If people from the industry were telling me I have to do this or that, I would run straight in the opposite direction, in order to find if there aren’t any other options elsewhere. We reviewed NieR: Automata last month, with Kai rating it 9.2/10. The game is available now on PlayStation 4 and PC.